The ESP8266 is a low-cost Wi-Fi microchip with full TCP/IP stack and microcontroller from Espressif Systems. It can be used as client or access point and it has DNS support as well. The chip is the main component in the ESP modules, which are developed by Ai-thinker to embed Wi-Fi capabilities within other systems, or to function as a standalone system. NodeMCU – an open source firmware, NodeMCU that uses the Lua scripting language. MicroPython – stripped down python 3. 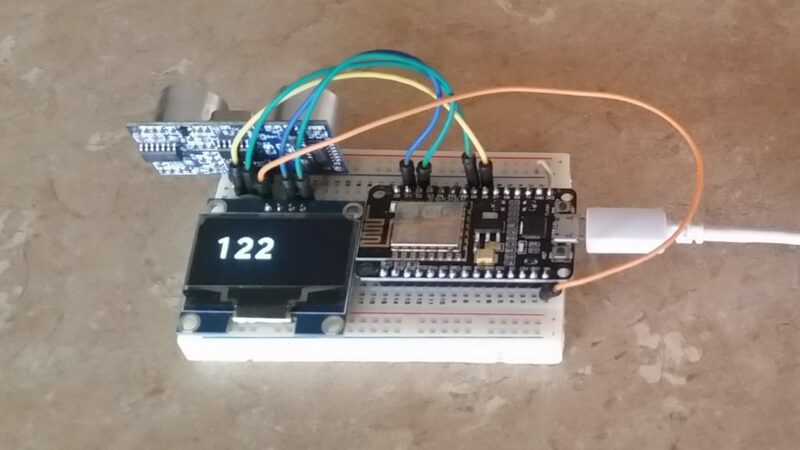 ESP8266 BASIC – lets you run BASIC programs from a web browser. This project will use Arduino IDE to program the ESP8266 ESP-12E NodeMCU 1.0. If this is your first time using the ESP8266 module, then I suggest you take look at one of these links for an introduction and to learn how to program the modules using the Arduino IDE. Before you continue, make sure the board “NodeMCU 1.0 (ESP-12E Module)” is selected in the Arduino IDE’s Tools menu. Also make sure that you select the correct COM port. Note that the ultrasound sensor requires 5V, so it is connected to the Vin pin which is directly connected to the USB’s 5V supply. 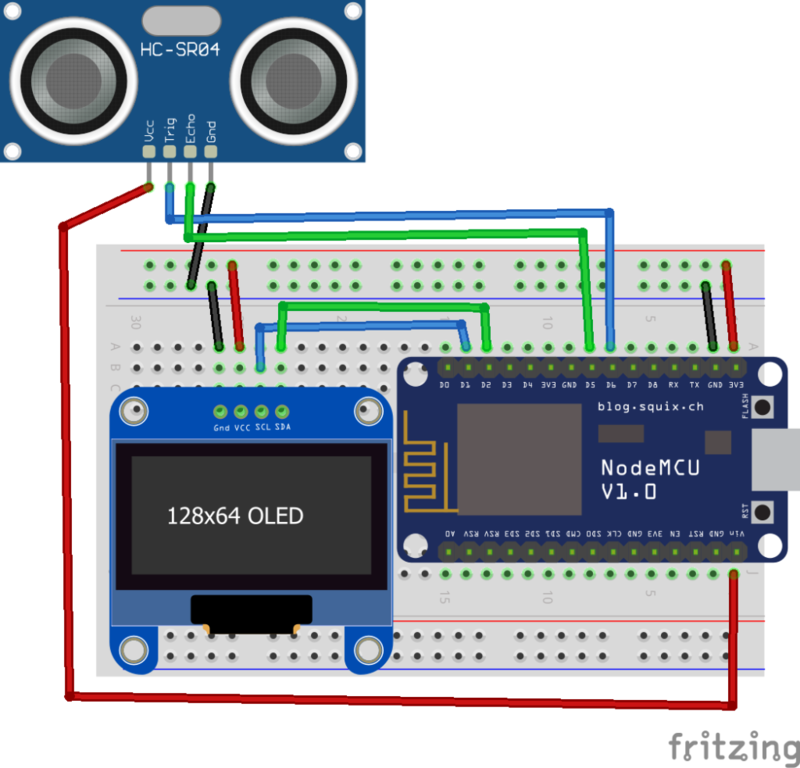 Now you are ready to write the code to read the distance measurement from the ultrasound sensor and display the result on the OLED screen. Compile and upload the code into the NodeMCU. Once you point the sensor to an object (choose one with flat surface like a wall), you will see the distance in centimeters displayed on the small screen. Note 1: The screen comes with either SSH1106 controller or SSD1306. This project uses SSH1106.